Found one file extension association related to Omnicast and 1 file format developed specifically for use with Omnicast. 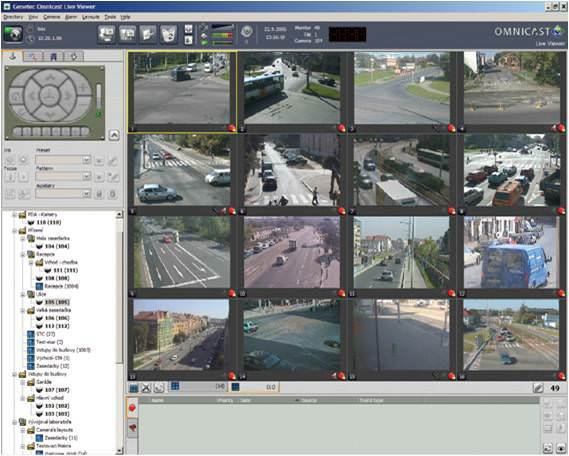 Omnicast is the IP video surveillance system of Genetec’s unified security platform, the Security Center. High-end features transcend the Security Center into Omnicast. Based on the open architecture, Omnicast offers users high-system flexibility. With an array of features described as some of the most innovative, Omnicast has proven to be the system of choice in numerous industries including transportation, education, retail, gaming and so many more. End users have the flexibility of installing Omnicast as a standalone video system or activating it within the Security Center and taking advantage of Genetec's next-generation client application for monitoring their video cameras, the Security Desk. In addition to Omnicast, the Genetec Security Center seamlessly brings together Synergis IP access control and AutoVu license plate recognition (LPR) systems within a single innovative solution. Whether installed as a standalone video platform or multi-system platform that includes video, access, and LPR, the Security Center's video functionality is powered by Omnicast offering customers the best in enterprise class IP video surveillance. Organizations and business worldwide have chosen this advanced IP video surveillance solution for its unmatched scalability, superior reliability and pioneering features developed to strengthen and increase the efficiency of your security operations. If you need more information please contact the developers of Omnicast (Genetec Inc.), or check out their product website.